The tax office will accept personal checks, money orders, cash, credit cards, and ACH payments (see form below). Credit and debit card payments will be subject to a third party processing service charge. Credit card, debit card and ACH payments are accepted online using the US Bank payment system. 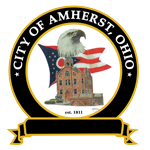 The City of Amherst, Ohio has mandatory income tax filing. The tax rate, in effect since 1991, is 1.5% with a 1% credit given for taxes paid to other cities. One percent of the total tax rate is used for general fund expenses. The remaining one-half percent is divided equally between the general fund and the street improvement fund. In January, tax forms are mailed to every Amherst resident who is on file with our office. While every effort is made to mail a tax form to all taxpayers required to file, it is the taxpayer’s responsibility to obtain a form. The tax forms can be obtained in the tax office any time during business hours or from the Amherst Public Library during the months of February, March and April. They can also be obtained at the links listed below. Upon request, our office will calculate your individual Amherst city tax forms for you free of charge. Estimated payments are accepted, but are not mandatory. They can be set up at the time of filing, or at any time by informing the tax office. A written extension request must be received in our office by the original due date of the return. If a federal extension was submitted to the IRS, a copy should be sent to our office before the original due date of the return to avoid late filing notices. 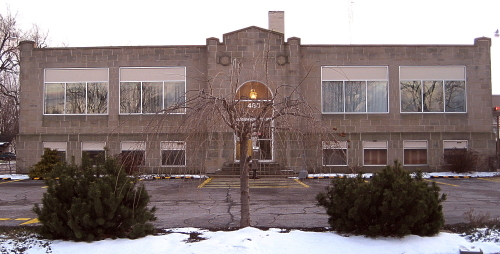 The extended due date of the City of Amherst return is the same date as that of the extended federal income tax return.